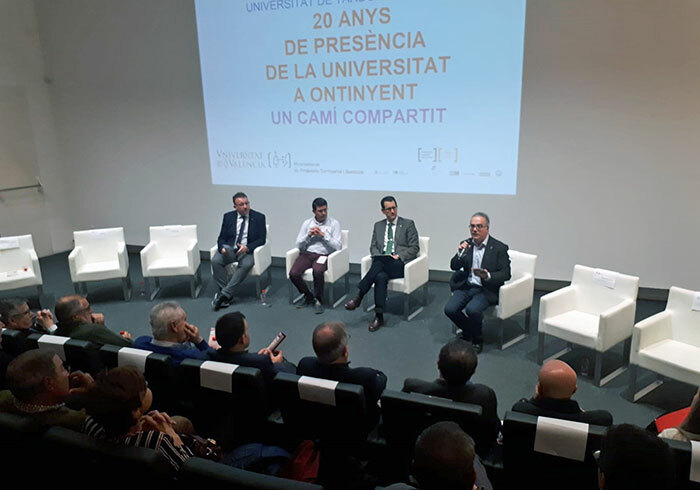 This year is the 20th anniversary of the creation of the University Foundation of the Vall d'Albaida (FUVA) and the implementation of university studies in Ontinyent. The last class of the Autumn University of Ontinyent (UTO) reflected on the past, present and future of Ontinyent as a university town. Martin Carpena (CCOO), Rafael Pla (COEVAL), Manuel Recuenco (UGT), Ricard Garcia (President of Caixa Ontinyent in 1998), Vicent Requena (Mayor of Ontinyent in 1998), Vicent Moreno (President of the Vall d’Albaida Commonwealth in 1998), Manuel Taberner (President of ATEVAL in 1998) and Francisco Tomás (Vice-principal of Research of the Universitat de València in 1998 and principal between 2002 and 2010). Francisco Tomás underlined the will of the teaching body of the Universitat de València “to get the university studies in Ontinyent off the ground”. He has especially underlined the role of Juan José Renau Piqueras and the rest of peers of the Faculty of Economics, who proposed to create Business Studies in Ontinyent as the region has a wide business network and an important textile industry that in the turning of the century was in crisis and needed professionals to face the situation. The panel of discussion was followed by the closing ceremony of the 8th Autumn University of Ontinyent, which was presided over by the Vice-principal of Territory and Society, Jorge Hermosilla; the Mayor of Ontinyent, Jorge Rodríguez, the Vice-president of Caixa Ontinyent, Josep Pla; and the executive manager of the Ontinyent Campus and General Coordinator of UTO, José Cantó. The professor José Cantó explained that UTO maintains the spirit of 1998, proving that the joint efforts between different public and private institutions can improve the education of our citizens. Thanks to different activities divided in different seminars, students of the Ontinyent Campus, Unisocietat and any other citizen of Vall d’Albaida can study in the Universitat de València”, highlighted the coordinator. 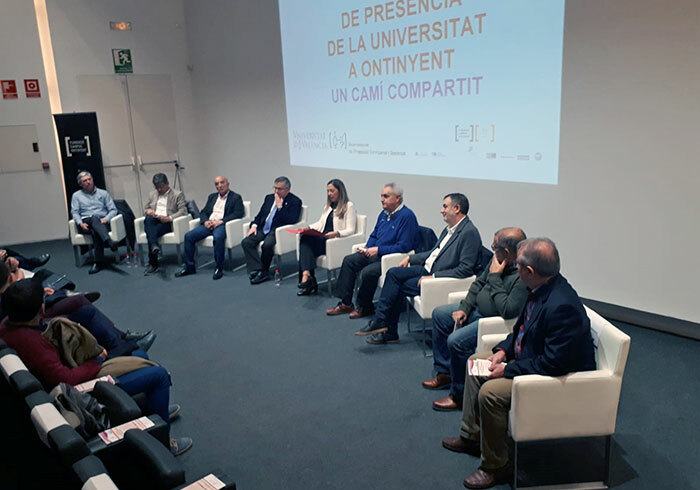 The Vice-principal of Territory and Society, Jorge Hermosilla, highlighted “the regional and cohesive spirit” that enabled to implementation of university students in Ontinyent. It has assured that the Universitat de València “continues displaying the will to collaborate and be present in Valencian territories serving the society. The Vice- principal added that Ontinyent and the region have become “an example for others to follow. It is a university city that encourages the socioeconomic development by training the locals.